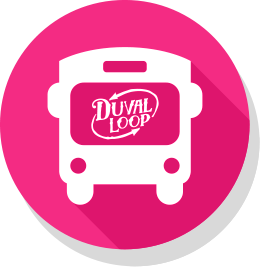 Duval Loop Bus is Running! Walk it, bike it, or bus it. Whichever you choose, ditch the car. With so much to see and do on our little island paradise, it’s almost a shame to do so stuck in a car. 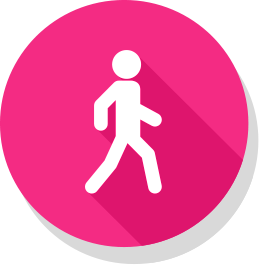 Our goal is to offer safe, healthy alternatives to driving for tourists, workers and our local residents. We won’t only be cutting down on Key West traffic and parking problems; we will be helping the environment as well, providing for a more pleasurable and safer experience for everyone. So come on down to beautiful Key West and see all that we have to offer. Just leave your car at home. 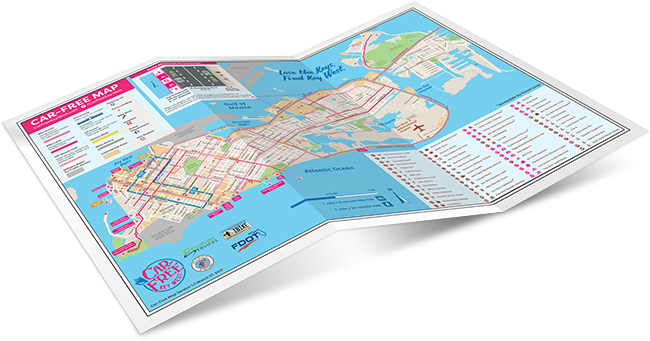 Did you know that Key West is considered the second most bike-friendly midsize city in the U.S.*? It’s true! 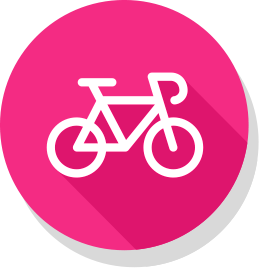 For a small island, we have many great bicycle rental shops to choose from. 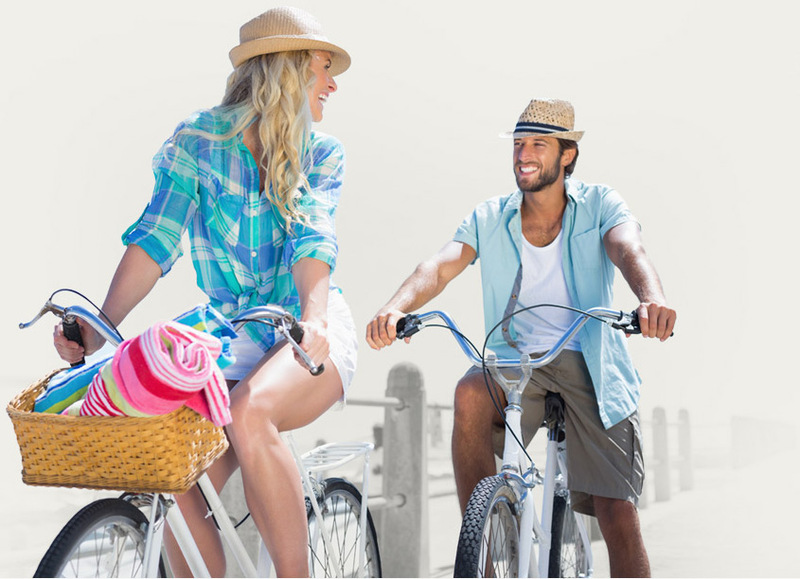 With designated bike lanes and bike trails all over Key West, getting around town on your bike will be an island breeze. Want to get a local’s perspective? Take a bike tour with one of our local tour companies. Key West bike routes are calling. Answer the call! Bike routes in Key West wind through the side streets and quiet neighborhoods of the island, clearly marked with signs letting drivers know to stay alert and take it slow. Bike routes are a great way to see as much of Key West as you want, at your pace. 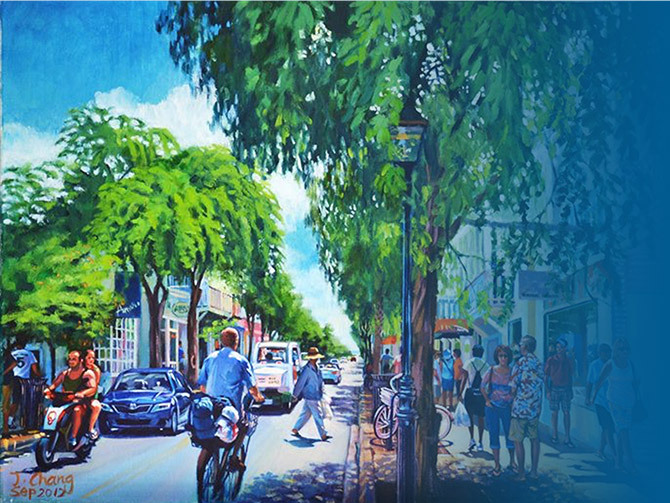 Find out what you can do to help make Key West the ultimate biking and walking paradise. Click below!